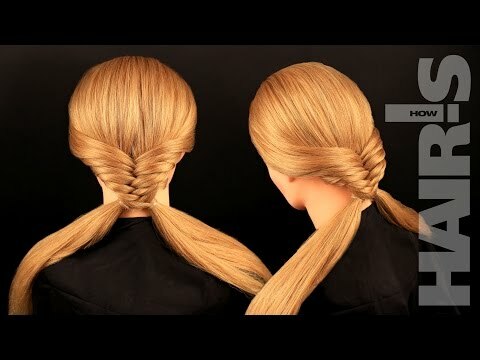 Step 2: Take the left section of hair and secure it into a low ponytail. 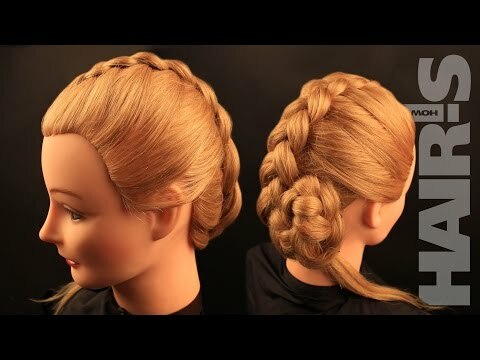 Step 3: Braid the hair that is secured in a ponytail. 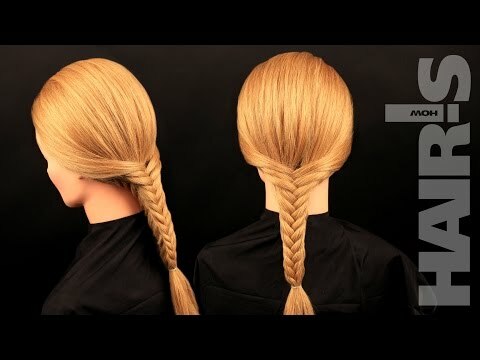 As you braid, stretch each round of the braid to give the braid more volume. 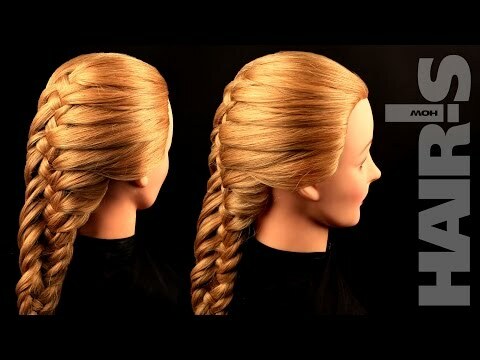 Step 4: Secure the end of the braid with a rubber band. 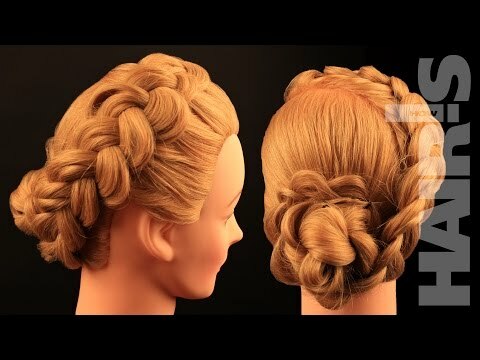 Step 5: Roll the braid into a bun and secure with bobby pins. 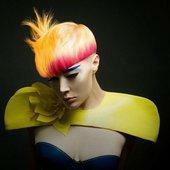 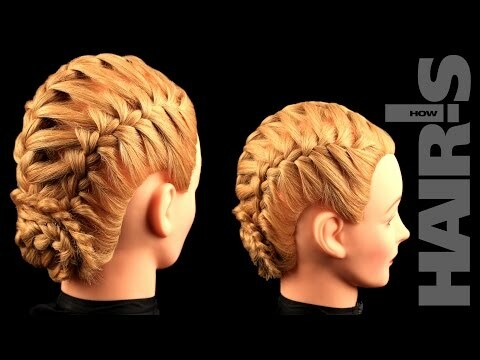 Step 6: On the right side, take a section of hair from the top front of the head. 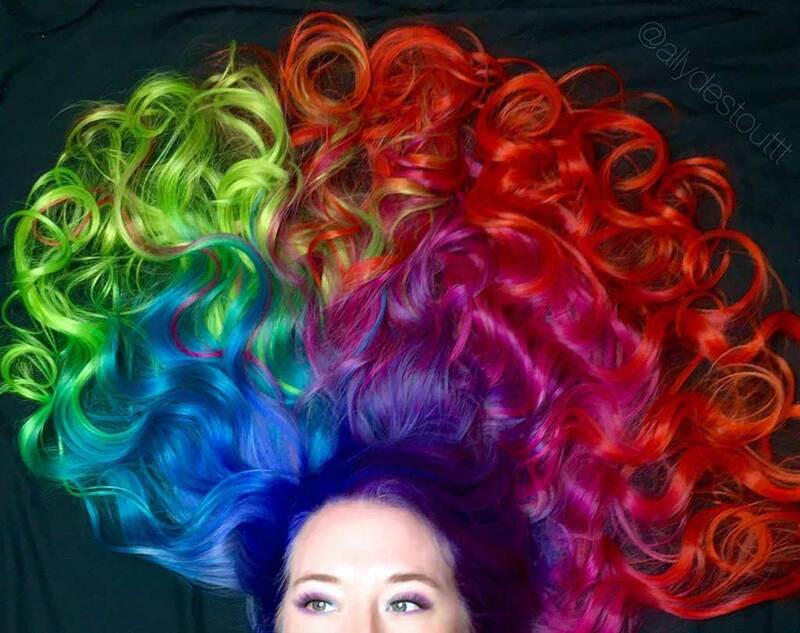 Divide it into 3 parts. 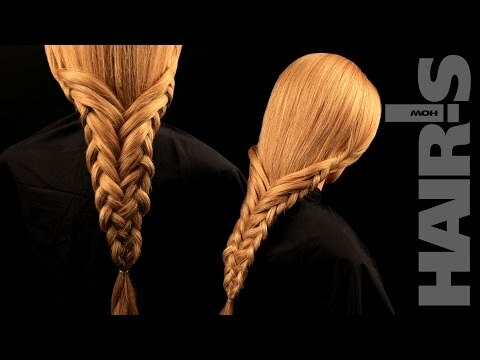 Step 7: Begin to weave a normal braid, completing one weave. 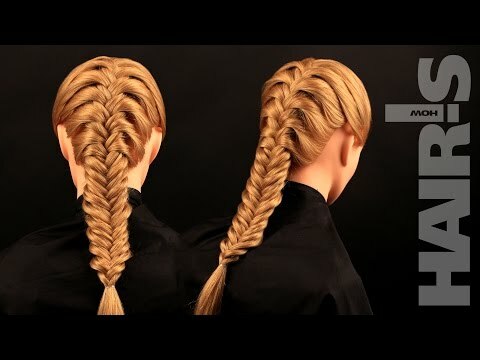 However, do not braid the strands over the center strand, but rather braid them underneath the middle strand. 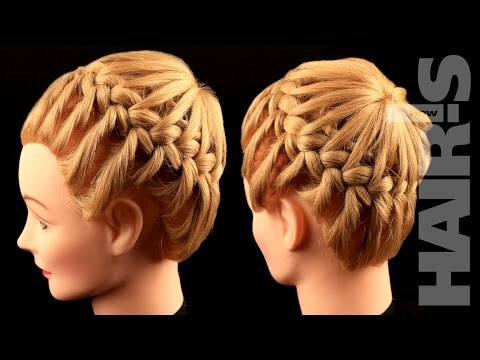 Step 8: Continue braiding, but now with the tieback. 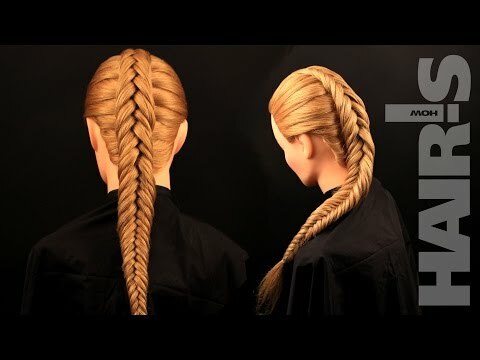 To do this, put the left strand of the braid under the middle strand, and take a strand of loose hair and join it with the left strand as you braid. 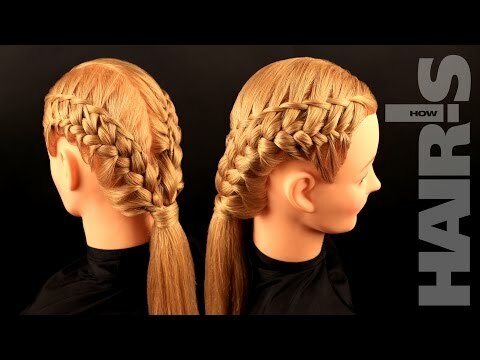 Step 9: Now put the right strand of the braid under the middle strand, and take a strand of loose hair and join it with the right strand as you braid. 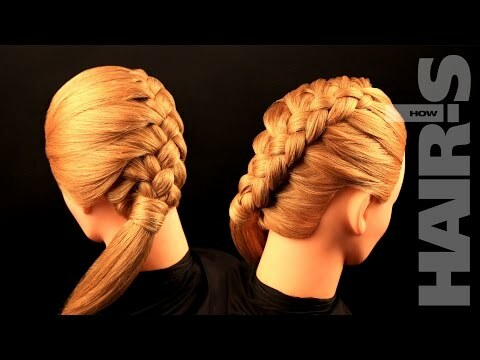 Step 10: Continue braiding with the tieback from both sides of hair. 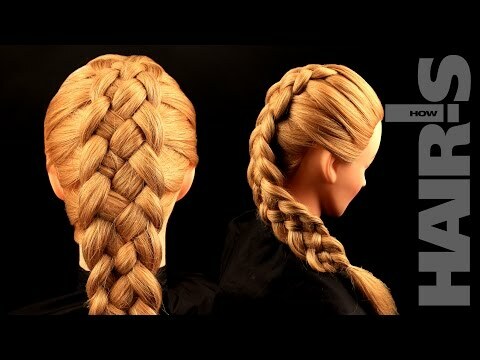 As you braid, stretch the rounds of each braid for more volume. 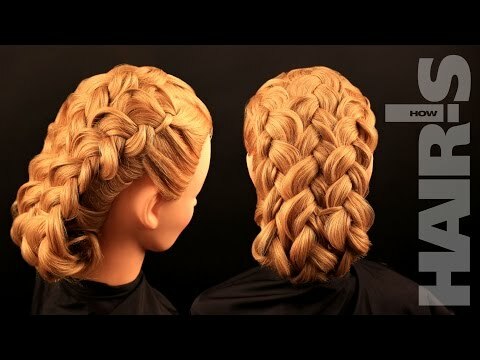 Step 11: When there is no more hair left for the tieback, braid in a normal braid, stretching the rounds of each braid as you weave. 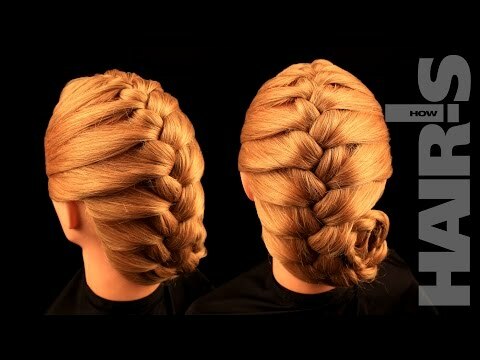 Step 12: Secure the end of the braid with a rubber band. 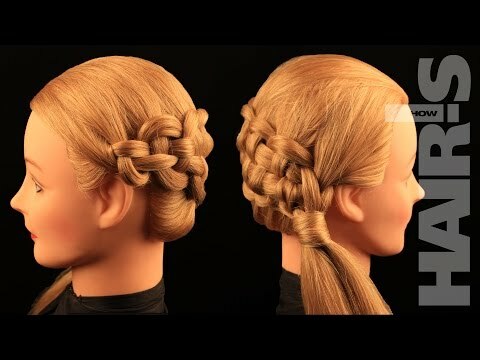 Step 13: Wrap the braid around the first bun, securing with bobby pins.